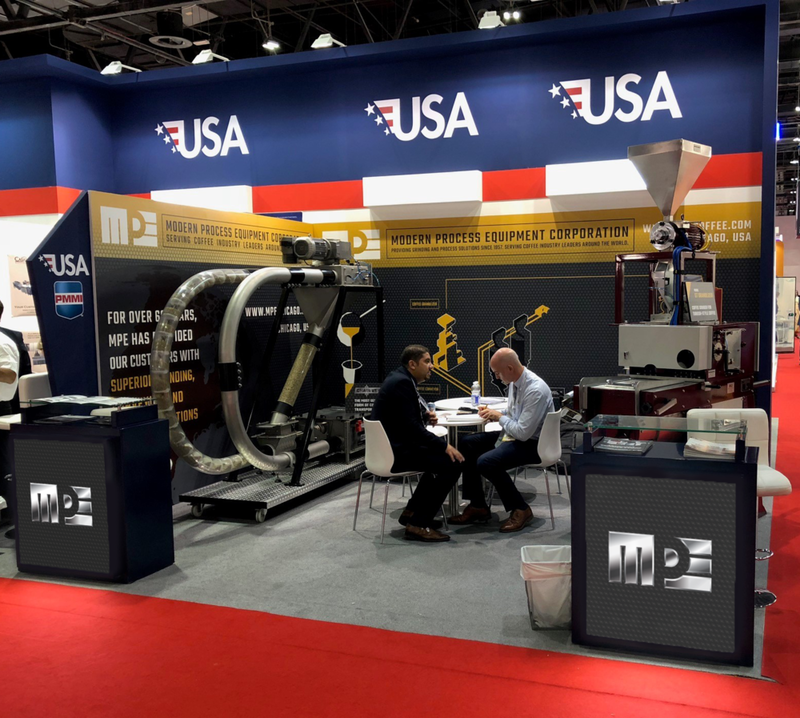 Booth graphics for the Modern Process Equipment Company at the Dubai Gulfood 2018 trade-show, highlighting their coffee grinding equipment and systems. A stylized system was made for a more graphical approach to show a process for grinding coffee in a factory. The left side shows Turkish coffee being poured, requested by the client as the equipment shown with the booth was tailored for that specific type of coffee consistency. The background is a repeating icon inspired by arabesque patterns, the center being a coffee bean broken up by grinder rollers all around it. Unfortunately photo documentation was not extensively done.